Organic wine. Fairtrade. Wine of Argentina. Wine - Argentina's national beverage. Vegan friendly. 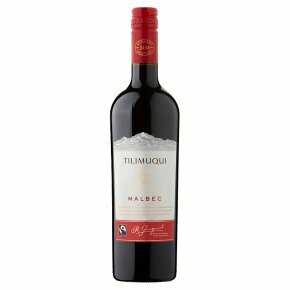 This Malbec is an elegant, intensely rich red wine with silky smooth black fruit flavours on the palate, supple tannins and a spicy complex finish. A perfect choice for special get-togethers, parties, barbeques or a cosy night in. Best enjoyed with a juicy steak and all other types of grilled red meat. We hope you enjoy it!